The Olau Line was a ferry service that ran between Sheerness and Vlissingen. The company operated two ships, the Olau Hollandia and Olau Britannia. 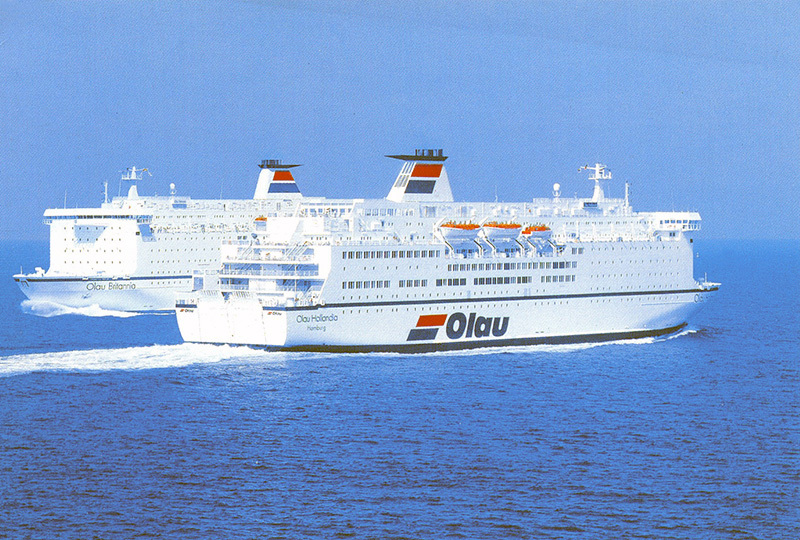 In 1989, the original ships were replaced by two super ferries also called Olau Hollandia and Olau Britannia. Olau Hollandia (foreground) and Olau Britannia passing mid channel. Length: 161m. Width: 29m. Speed. 21.3 knots. Capacity: 575 cars, 1,600 passengers, 1,642 beds. 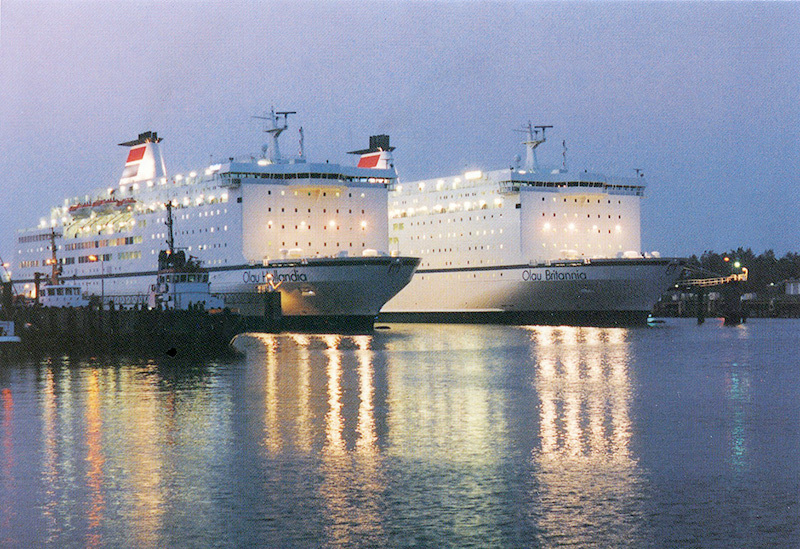 Olau Hollandia (left) and Olau Britannia docked in the dutch port of Vlissingen 20 May 1990. Source: Inside Olau, A. Ogilvie, 1994.